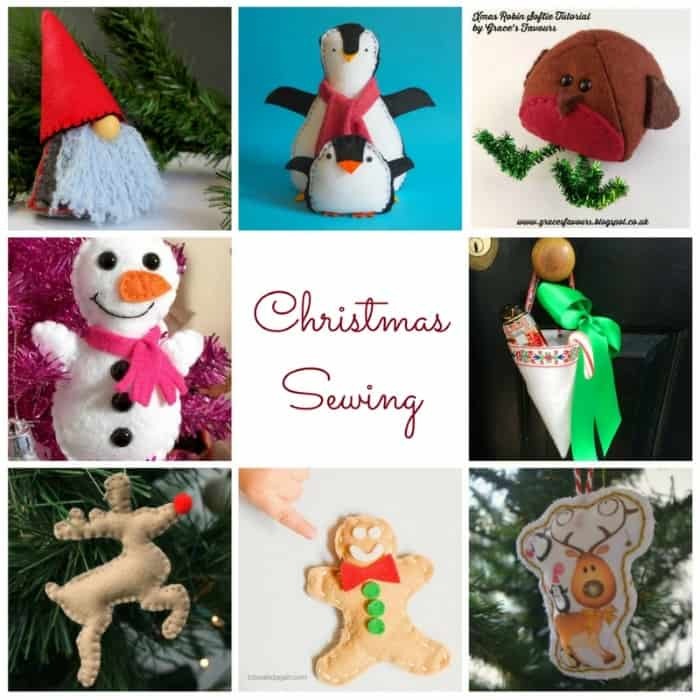 Sew your way through the holiday season with these delightful free felt sewing projects for Christmas. One of the highlights of my childhood was the sewing projects that my mother would help me make at Christmas time. Mostly, I sewed ornaments for our tree. Now my children are continuing on this tradition. We started off sewing very simple ornaments. Now all four of my chidlren (aged 4, 7, 9, and 10 years old) are able to stitch around the edges, and their projects are more complex. I won’t be surprised if next year they pull some projects out of Craft A Day to make! In the meantime, I have a lovely collection of free sewing projects from blog friends for us to work through! All of these projects require only a few materials. Here are the basic materials that you need to make these projects. Any additional special materials are noted below the links. Anna’s Christmas cat – she sewed this just last week. Ultra fine sharpie pen or embroidery floss for adding a face. Ornaments for Kids to Color and Sew – we made these back in 2011. 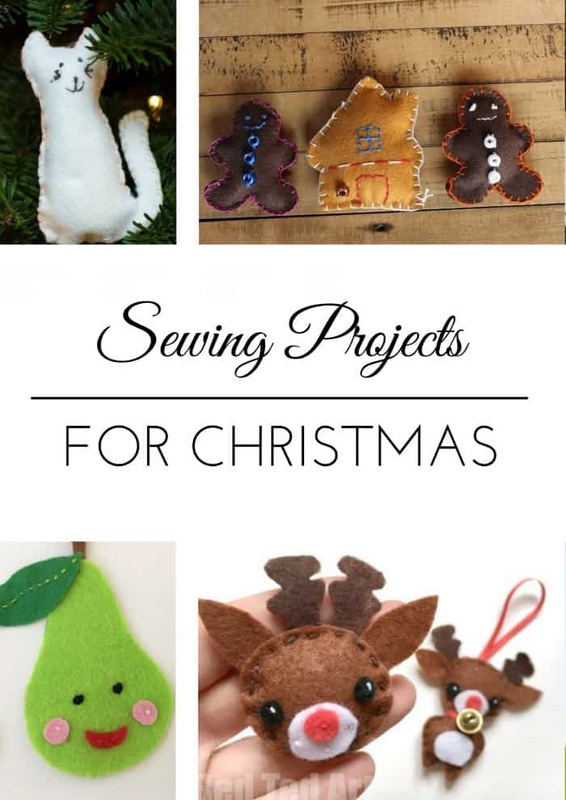 Do you have a free Christmas sewing project that we should add to this list? Please let me know! How fun! I love this felt snowman! I’m thinking next year of putting together some sewing kits for Princess to sew some ornaments. I should do that for my kids – great idea! Your felt projects are amazing! I am ready for a book from you! I LOVE handmade Christmas ornaments!